I’ve spoken in the past about buying investment pieces and why I think it’s important to save up for key things in your wardrobe and buy the best quality that you can afford. Falling into that category is obviously anything designer. Whilst they often require a more significant financial outlay in the beginning, I think quality designer pieces are worth saving up for. In saying that though I don’t think all designer items are created equal. I definitely think there are certain things that are worth the cost and some that aren’t. When it comes to buying anything expensive, these are the things you should keep in mind. If money is no object then go ahead and buy whatever designer item takes your fancy! But for most of us we have to think strategically about what we spend a significant amount of money on and what we can scrimp on. So I think the best place to start is look at what you use a lot. For me, that’s bags and shoes. Take stock of your wardrobe and identify the things that get a big workout and are going to get used frequently. These are the items where it’s worthwhile getting something that’s beautifully made and designed to last. I know it can be easy to get caught up in the ‘it’ item of the moment but the thing with those is that they don’t have longevity. The style is locked in a moment in time and to a particular season and beyond that it can start to look quite dated. 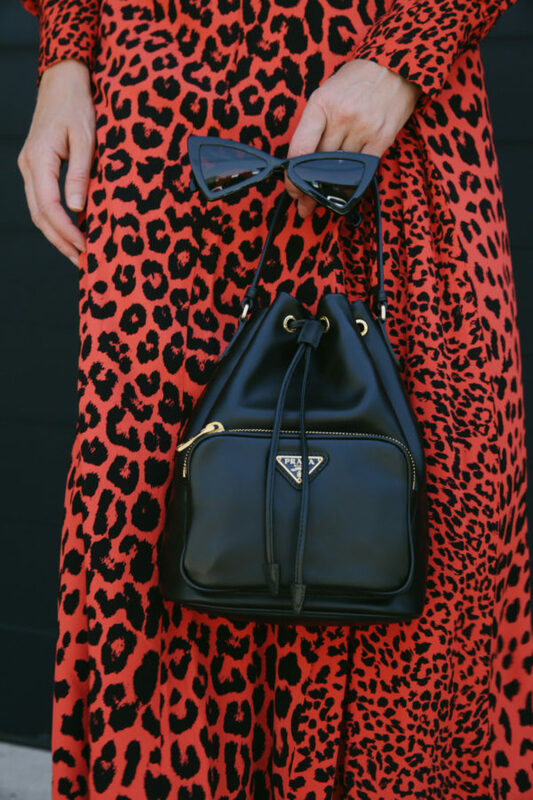 When buying anything designer consider classic pieces that won’t have an expiry date but instead will be able to be worn season after season. Do your homework before you buy any designer item. Compare prices online vs those in store so you know the price point of a particular item at various retailers. Try sites such as shopstyle or lyst to help make comparing prices at online stores a little easier. If buying second hand is an option then you could also visit sites like Vestiaire Collective and The Real Real to see if there’s a pre-loved version of what you’re after at a fraction of the price of something new. Make an effort to go in store and try/touch/see the item that you’ve got your eye on in real life. I know it can often be tempting to purchase something online sight unseen but there are just certain things that you won’t get a feel for unless you are holding it in your hands and seeing it with your own eyes. Often little things like how heavy something is, or the colour or the type of hardware used won’t be truly highlighted unless you physically see it. And if you’re about to drop a few zeros on something, then I’m sure you want to be 100 per cent sure it’s a good purchase. Always check in store if a particular style you’re after will be made again next season. You’ll know then whether what you’ve got your eye on is part of the designer’s staple range or whether it’s just a one-off. 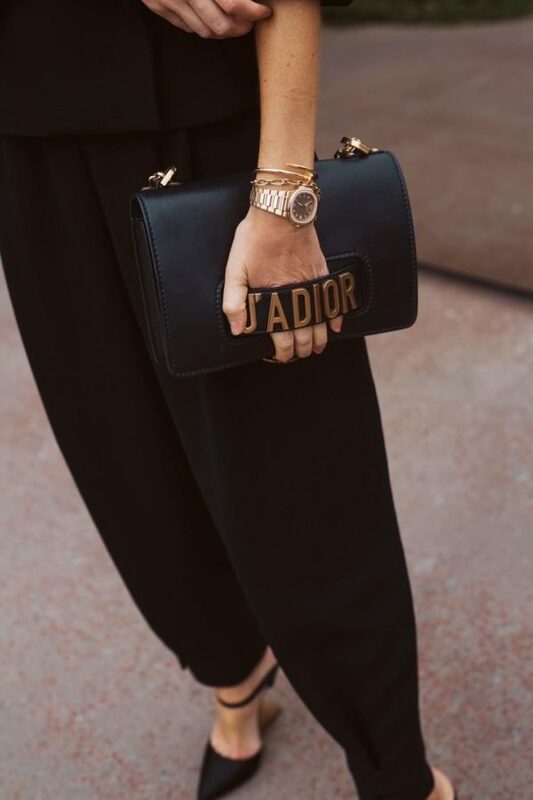 Generally, you want to aim to buy a style that’s going to be around season after season such as the Chanel 2.55 bag or the Gucci Jordaan loafer. This ensures that you’ve got a classic piece on your hands that will remain forever relevant as opposed to something that’s only going to be around for a short time. What’s been your most favourite designer purchase ever?